Korea’s top two toymakers are poised to take a leap forward to rake in profits at home and abroad. Korea’s No.1 toymaker Sonokong recently handed over a majority stake to global toy magnate Mattel -- which makes Barbie dolls -- in a strategic move to sell its toys overseas. Sonokong announced on Oct. 10 that the American toy giant’s affiliate Mattel Marketing Holdings had acquired an 11.99 percent stake in the company for 13.97 billion won ($12.57 million). Sonokong Chairman Choi Shin-kyu became the firms second-largest shareholder with a 4.94 percent stake. Prior to this, Choi had been the biggest shareholder, owning 16.93 percent of shares. The rest is owned by minority shareholders. Observers said Choirock Contents Factory, another toy manufacturer run by the Choi family, will mainly benefit from the recent sale. 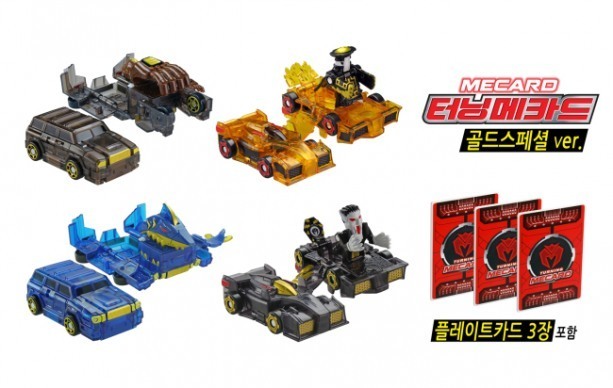 Through Mattel’s widespread global distribution channels, Sonokong’s popular toy Turning Mecard -- a series of toy robots that can transform into vehicles -- will likely enter overseas markets. At the moment, Sonokong sells Turning Mecard within the country only. Set up by Choi in 2007, Choirock has been involved in toy designing and manufacturing. Separately, Sonokong distributes popular toys such as Turning Mecard in the local market. Sonokong recorded 125 billion won in sales and 10.4 billion won in operating profit in 2015. Sixty-five percent of the sales, worth 77.9 billion won, came from business with Choirock. However, due to its ownership structure, Sonokong’s operating profit margin remained at 8.3 percent last year, lower than that of its rival Aurora World with 11 percent. Suspicions have consequently been raised on whether the largest shareholder Choi Shin-kyu has been gaining unfair profits. Choirock is an unlisted company fully controlled by the Choi family. Choi’s son Jong-il is CEO of Choirock, owning a 45 percent stake. The chairman’s wife Lee Hee-sook holds a 10 percent stake and the rest is owned by other Choi family members. The total value of the Choi family members’ stake in Choirock is estimated at about 21.3 billion won. Customers have often been spotted waiting in long lines to grab new models of Turning Mecard at shops, as the product is a hot item among Korean children. The toys have even been sold online at double or triple retail prices. Choi is a self-made entrepreneur. Born to a poor family in Seoul, he dropped out of school when he was 10. He worked at a welding factory and a foundry for a living. In the mid-1970s, the 19-year-old Choi started his first business, water pipe-maker Hyupsung Industry. Later, he set up Seoul Die Casting to produce portable gas stoves and juicer components. In 1986, Choi established Seoul Chemical to embark on the toy business and made a big gain from ingenious items such as toy vending machines. In 1996, he changed the company’s name to Sonokong, which is a reference to the Chinese mythological character Sun Wukong, or the Monkey King. 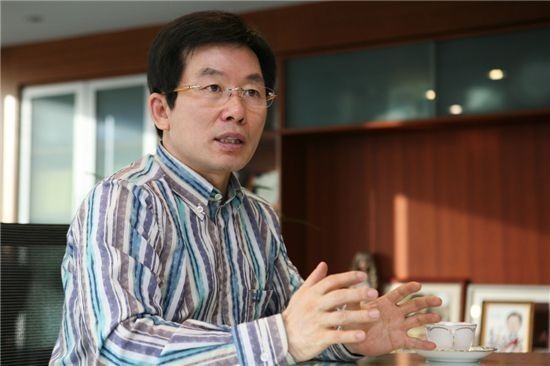 When Sonokong faced a managerial crisis in 2014, Choi resigned as CEO and engaged himself in developing new products. A series of successful toys such as Turning Mecard and Hello Carbot helped the embattled company’s portfolio. Sonokong’s rival Aurora world is initiating new business projects through its second-generation owner Noh Jae-yeon. The eldest son of the firm’s Chairman Noh Hee-yeol is a member of the company’s board of directors. The junior Noh is taking helm of the company’s game-making affiliates, apart from its character and content sector. Noh studied applied mathematics and economics at Brown University. In 2011, he became a member of the board of directors at Aurora Games, which was set up by Aurora World in 2009. After failing to make any big achievements in five years, Aurora Games was merged with its parent company in 2014. In March the same year, Noh joined the board of Aurora World to serve a three-year board membership. Noh is now the CEO of Nextap Games, another affiliate of Aurora World. Co-established by Noh in March 2013, Nextap Games is headquartered in a building owned by Aurora World in southern Seoul. Aurora World was established in 1981 by Noh Hee-yeol. The toymaker started off as an original equipment manufacturer rag doll supplier, then created its own brand to tap into the wider global market. 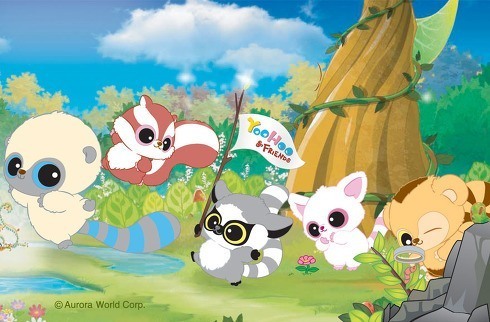 Aurora World's flagship character "YooHoo&Friends"
The firm’s own brand YooHoo & Friends gained popularity with its animated films. From the end of last year, Aurora has run the large-scale toy shop chain Toy Plus. Currently, six stores are in operation in Korea. 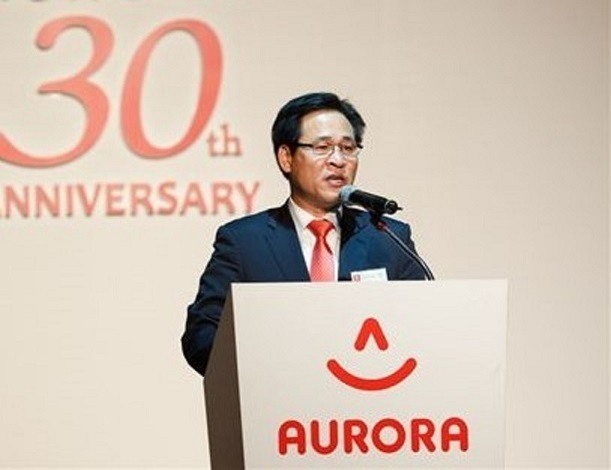 Aurora World saw 122.3 billion won in sales and 13.5 billion won in operating profit last year. According to financial information provider FNGuide, the company’s chief and biggest shareholder is Noh Hee-yeol whose 43.26 percent stake is estimated at 49.3 billion won.